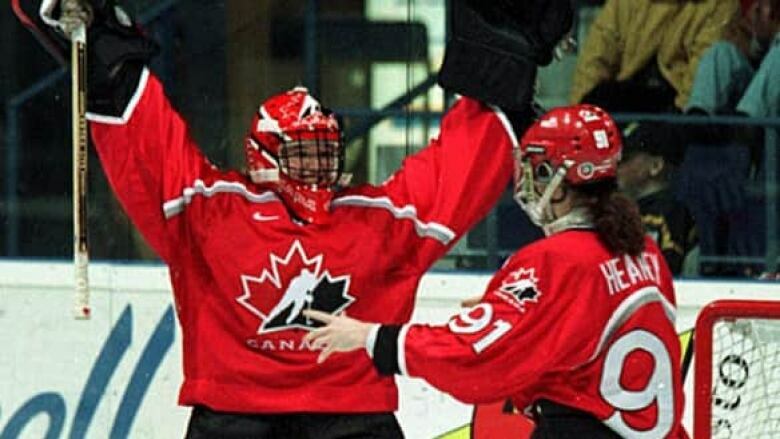 Sami Jo Small helped backstop the Canadian women's hockey team to a gold medal during the 2002 Olympics in Salt Lake City. She went to the Winter Olympics as a member of Team Canada three times. She's also a five-time world hockey champion and a two-time world championship MVP. She helped backstop the Canadian women's hockey team to a gold medal during the 2002 Olympics in Salt Lake City. She went to the Winter Olympics as a member of Team Canada three times. She's also a five-time world hockey champion and a two-time world championship MVP. These days, however, Sami Jo Small is no longer part of the Team Canada family. She was released from the program in the fall of 2008 after several years of distinguished goaltending service. But being a former member of Canada's Olympic squad doesn't mean that Sami Jo is no longer tied to Team Canada at the 2010 games in Vancouver. In fact, the Winnipeg native is about to experience one of the busiest and most exciting Winter Games she's ever lived through thanks to her ongoing relationships with past and present teammates, some of her best friends, her maid of honour and her fiancée. Sami Jo Small may be gone from the Canadian hockey program, but she's still very much involved with several of her former Olympic teammates thanks to her current position as goalie for the Mississauga Chiefs of the Canadian Women's Hockey League. Small plays alongside Jennifer Botterill and Cherie Piper who are both heading back to the Olympics in February. She also plays against five other former Olympic teammates who will all wear Canadian colours again this year. That list includes Caroline Oulette, Becky Kellar, Gillian Apps, Jayna Hefford and fellow netminder Kim St. Pierre. Despite the fact they represent the enemy in the CWHL, Small says these veterans and friends are a big part of the reason Canada is ready to take on the world. "I think that they've showed it of late on the ice," says Small. "They have amazing leadership. Just even the older players like Keller, Hefford, Oulette and Botterill. Those players even on their club teams are leaders." Small also points to Canada's depth this year as another reason why they're a force to be reckoned with. "I don't really think that there's a first and fourth line. You could throw out any one of those four lines and they're going to be good," says Small. "In the final game, I think it'll really come down to the fact that we have more skill than the Americans." Small likes what she sees between the pipes this year as well. Shannon Szabados, Charline Labonte and St. Pierre are all heading out to the West Coast at the top of their games. "I think that they're playing exceptional right now," says Small. "These last couple months, none of the three have faltered which is pretty rare. I feel that all three goalies really have had good, solid games and have won big games for the team." That means head coach Melody Davidson might have a tough time deciding who starts in goal in the highly anticipated gold-medal matchup between Canada and the U.S on February 25. Team Canada member and CBC blogger Jennifer Botterill, left, is set to become Smalls maid of honour. (Joe Bryksa/Canadian Press) March 20 is another gold-medal date Small has circled on her Olympic calendar. That's the day she hopes to see her fiancée play in the final of the men's sledge hockey event. Small is engaged to Team Canada forward Billy Bridges who's getting set to defend his 2006 gold-medal title at the Vancouver Paralympics. 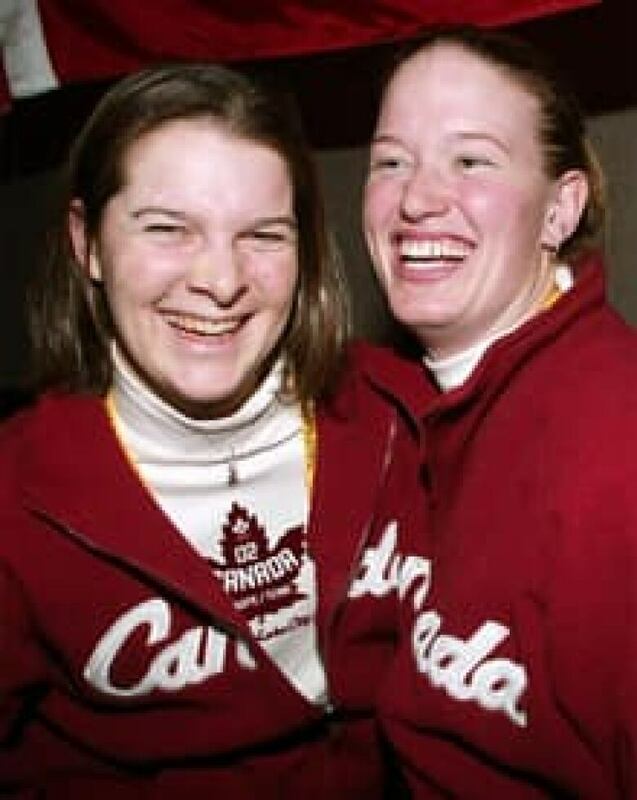 Her maid of honour is none other than Chiefs teammate and former Olympic teammate Jennifer Botterill. Small and Bridges first met at the women's world hockey championship in Winnipeg in 2007. Small says they both knew it was meant to be during their first real date in Toronto, which was at a Blue Jays' game during the Stanley Cup playoffs. "I think I sealed the deal with the fact that I wanted to get home to watch hockey playoffs more than anything else," says Small. Three years later, Small is getting ready to marry the man she considers to be a hockey superstar in his own right. "My biased opinion is that Billy is one of the best players in the world," says Small. "And his line is the best line in the entire world." She'll spend the first portion of the games watching every second of the women's hockey event from her home in Mississauga. Then she'll head to Vancouver so she can watch every second of the men's sledge hockey event live and in person. While she hates leaving the Chiefs during their upcoming CWHL playoff run, she says her teammates are more than understanding. "He actually trains with our club team as well. He comes out to our practices and jumps in with the lines so I feel like my friends have gotten to know him so well," says Small. "They're pretty excited about him being out there. "Small's pretty excited about watching all her 'peeps' in action as well even though there's still a part of her that yearns for a more active Team Canada role. "I still really wish that I was part of the team. I know how much fun these next couple of weeks are going to be for them," says Small. "This time my face will be painted and I'll be banging on the glass which will be a much different role but one I'm definitely excited about."